Commenting on the PMI, ANZ Research said real activity indicators “remained sluggish” in April and May, with China potentially missing its 7 percent GDP growth target in the second quarter. “The softness in the manufacturing sector remains, requiring more policy calibration…After the [recent] rate cut, the one-year lending rate has been lowered to 4.85 percent, the lowest level in the past two decades, clearly signaling that monetary policy stance has become more accommodative. In addition, we see that the fiscal policy should take the driving seat to help restore the market confidence over the economic outlook,” said ANZ economists Liu Li-Gang and Zhou Hao. China’s latest data has highlighted the fact that Asia-Pacific nations are far more closely tied to the fate of the world’s second-biggest economy than they are to Greece, a nation of 11 million that accounts for just 2 percent of Europe’s GDP and ranks as the world’s 44th biggest economy, smaller than the Australian state of Victoria. After previously noting in Pacific Money the risk of China’s $7.7 trillion stock bubble busting, the Chinese bourse has seen its worst declines since 2008, including its biggest one-day loss in seven years. The People’s Bank of China has been forced to cut interest rates again – its fourth reduction since November – to record lows. Chinese equities “are in a bubble,” according to analysts at Bank of America, BlackRock and Credit Suisse, with the median stock on mainland exchanges at one point priced at 73 times earnings, a higher level than the market’s previous peak in October 2007. According to Bloomberg News, the risk of a market crash has been exacerbated by increased margin lending to Chinese investors, which has the effect of amplifying profits as well as losses. “Sometimes when the market is good, I would make profits enough to buy an Audi in just a week or two. However, when the market is down, it’s also possible to lose half an Audi very quickly,” Zhang Minmin told the financial news service. 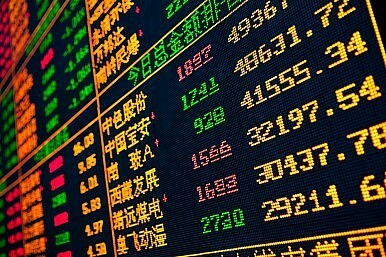 Chinese brokers have reportedly extended $339 billion of margin finance to investors, double the amount at the start of 2015, with another 1.7 trillion yuan said invested in stocks from other sources, according to Bloomberg. In the event of a crash, the unwinding of such share buys would further depress stock values. China’s position as the world’s largest consumer of resources has also made the machinations in Greece a virtual sideshow for commodity markets, despite “the potential to boost some safe-haven demand for gold and possibly other commodities,” according to Reuters columnist Clyde Russell. Yet should China’s moves fail to steady stock prices, the global fallout could dwarf the Greek crisis, according to Bloomberg’s William Pesek. Asked the biggest concern for Australian investors, fund manager Paul Moore put China well ahead of Greece. “Look at the size of the Greek economy – it’s a speck. China’s not a speck,” he told the Australian Financial Review. There may even be a silver lining for Asia-Pacific financial markets in the Greek crisis. According to Brisbane’s Courier Mail newspaper, more than A$1.1 billion ($826 million) has been transferred from Greece to Australia since 2010, with the value of Greek investment increasing by 75 percent since the end of 2012. More than 10,000 Greeks have reportedly migrated or moved back to Australia since the crisis began in 2010, with the eastern city of Melbourne already hosting the largest expatriate community outside Greece. Grexit or China risk? For the Asia-Pacific, the clearest and present financial danger lies far from Europe’s shores.